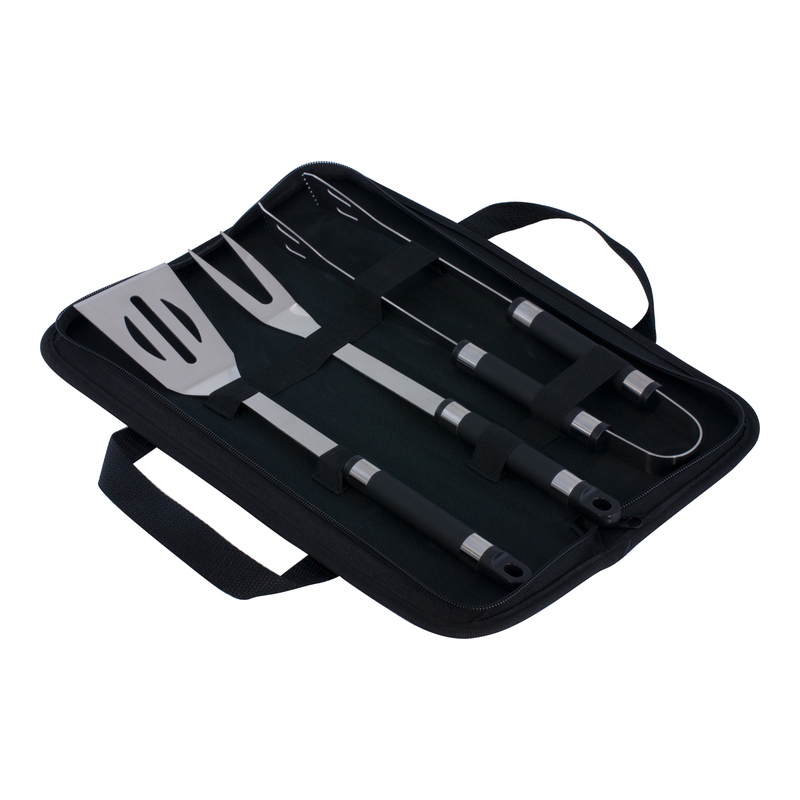 3 piece stainless steel BBQ set. Includes: fork, spatula, tongs with rubber grip. All in a 600D black polypropylene zippered case. Supplied in polybag.